Photography by Forrest H. Bahm. Across the United States, a large number of new short line or regional railroads have been formed from trackage formerly operated by larger railroad companies. One example of this type of rail service in the Midwest, the Nebraska Central, has since 1993 continued to move mostly agrarian-related traffic over a series of former Union Pacific Railroad branch lines. 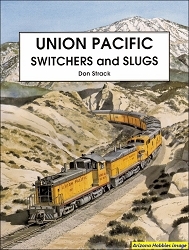 This book serves as a case study of how rail service on one branch line has dramatically changed between the decades of the 1960s and the 1990s. It is also a pictorial study in black and white of how one railroad photographer, Forrest H. Bahm, documented both of these eras. 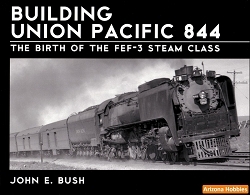 It is ultimately a story of regional railroading for today. Only one steam photograph but includes many interesting subjects including passenger specials, detour trains with main line power (including a U50C) and a Jordan Spreader. The photo reproduction is excellent on high-quality glossy paper. The Nebraska Central, pp. 42-80. South Plate Press, softcover, 80 pages, 10.25 x 8.25 x .25 in., B&W photographs, maps.